SKU: JOU-M-150. Category: Journey into Nyx. 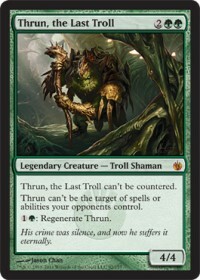 Tag: Mythic Rare. 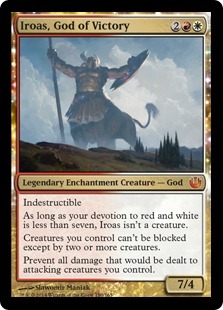 Indestructible As long as your devotion to red and white is less than seven, Iroas isn’t a creature. 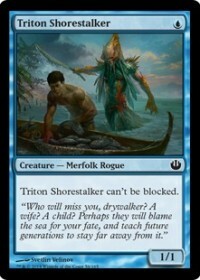 Creatures you control can’t be blocked except by two or more creatures. 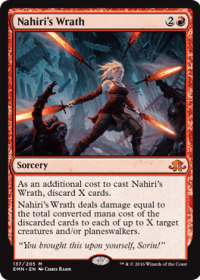 Prevent all damage that would be dealt to attacking creatures you control.